Groove: "the concept of groove – a term now theorized by analysts but long familiar in musicians' own usage – marks an understanding of rhythmic patterning that underlies its role in producing the characteristic rhythmic 'feel' of a piece, a feel created by a repeating framework within which variation can then take place." Supergroove: 'the concept of supergroove – a term now theorized by analysts but long familiar in the psytrance underground – it marks a marvelous musical experience. The listener is slowly taken into hypnose by the grooviness of the tunes. It will be impossible to stand still and be unaffected by the music. Any time of the day can be supergrooved and supermoved. 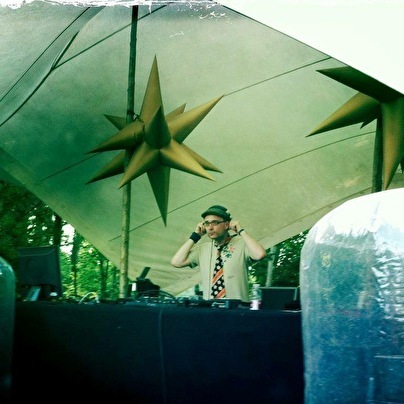 Zeer funky/groovy psychedelic DJ! Aan te raden zowel in de Chill als op de dansvloer!